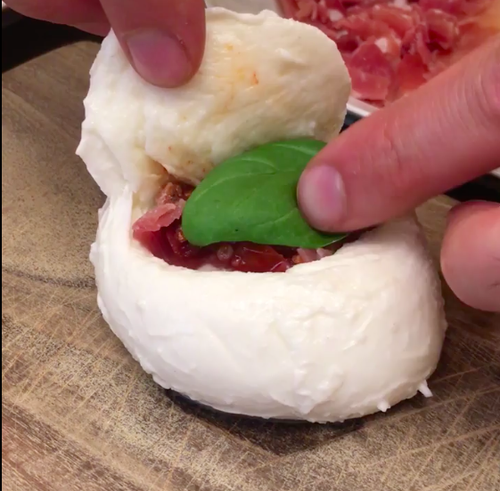 Cut a lid in the mozzarella ball and remove some of the inside. Stuff with chopped prosciutto ham, sundried tomatoes and basil. Coat in flour, beaten egg and breadcrumbs. Fry the balls until golden brown. Enjoy hot.